Will it actually happen this time, unlike in 2010? We can safely assume that means the Esprit will be even more powerful with even more precise handling. It’ll also be lighter, thanks to techniques learned from the program. For example, the GT430 features carbon fiber front and rear bumpers, front access panel, roof panel, tailgate and rear wing. The new Esprit, however, would feature all of that along with additional carbon fiber and other lightweight components throughout the body. But what will be under the hood? Will Lotus continue using Toyota-sourced engines? Or rather will parent company Geely offer something else? For the time being, Gales confirmed Lotus will continue with the Toyota engines, ranging from 1.6- and 1.8-liter four-cylinders in the Elise and Exige, and the 3.5-liter V6 for the Evora. All those engine are supercharged. We imagine the new Esprit will be powered by the supercharged V6, likely tuned to exceed the 430 hp found in the . Also remember, Lotus is also preparing a successor to the aging Elise, also due around the same time as the Esprit. 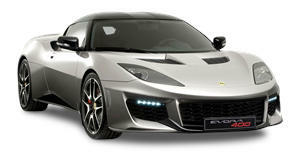 What we’re wondering is how further upmarket will Lotus go with its new cars? Remember, Lotus is famous for keeping things simple, shaving weight as much as possible while retaining plenty of power. Given that high-performance sports cars and supercars are also now quite luxurious, it’ll be interesting to see what Lotus has planned, especially for the Esprit. For those who recall, this isn’t the first time Lotus announced a new Esprit. Back in 2010 when Lotus was being run by now ex-CEO Dany Bahar, an (pictured here) debuted at the Paris Motor Show alongside four other concepts. None of them ever made it to production following Bahar being fired. Now that Lotus has its finances under control with endless additional help from Geely, the new Esprit can finally happen. 2020 can’t come fast enough.